Sometimes, I feel I am destined to be hardworking when it comes to skincare and beauty because, living in Malaysia, you can't be lazy for a day! The weather is hot and the scorching sun will burn a hole out of your skin if you forgot to apply sunscreen protection. Be a translucent and fair beauty like Snow White in real life has become my lifelong pursuit. 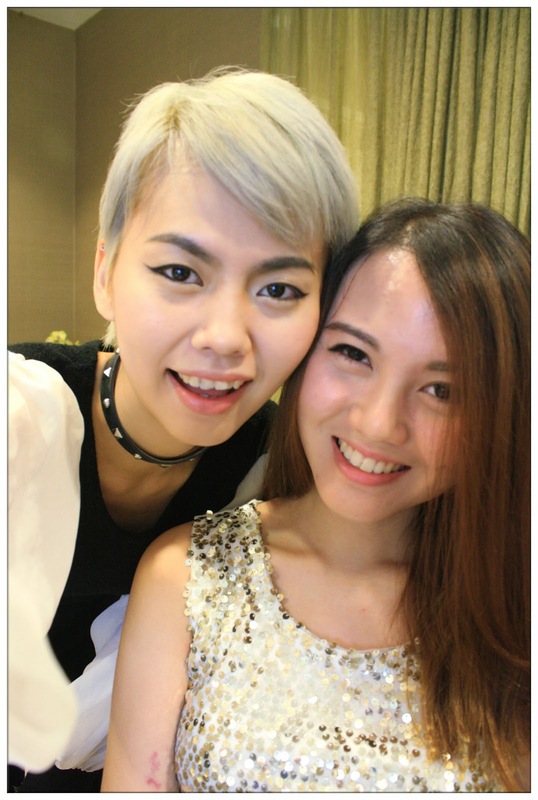 How to be as pretty as Aerial Lin I ask? I got the answer today! 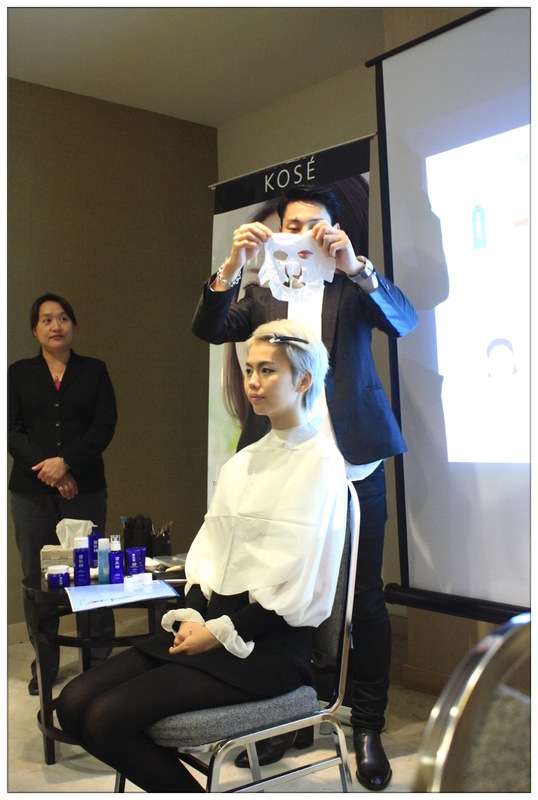 Thanks to the exclusive invitation from Nuffnang and KOSÉ, me and my friend Peiyue attended a KOSÉ workshop to show us how to get beautiful, translucent "Snow-White" skin in just a few steps! 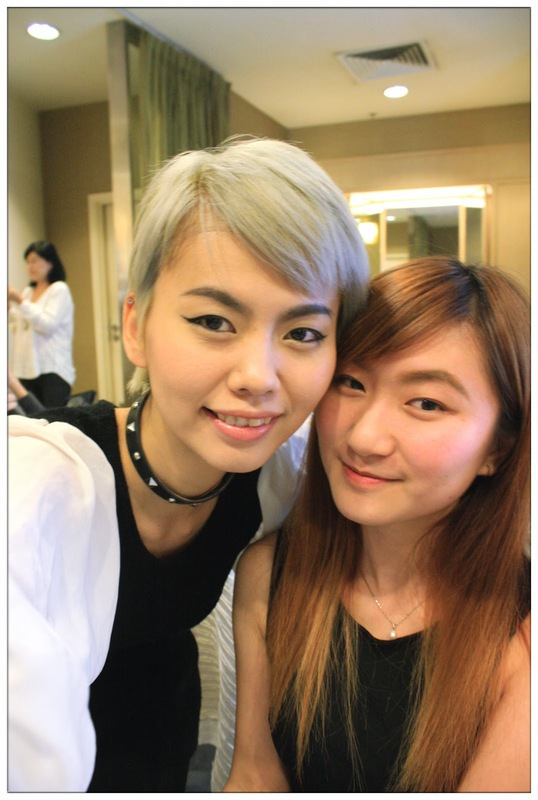 And I'm ready to share what I've learnt at the workshop with all of you here, so that we can be pretty together! KOSÉ Sekkisei have all you the things you need to transform your skin. First thing first, cleanse your face thoroughly with KOSÉ Sekkisei Cleansing Cream. With the amount of cherry size, and apply it onto your face, they can remove the makeup and dirts that's on the surface of your skin. If you're doing this at home, you should do a double cleansing to ensure the makeup, dirts and impurities that clogging your pores removed using the KOSÉ Sekkisei Cleanser, but since we're in a workshop, so we shall skip the step and go into the moisture protection and brightening step. 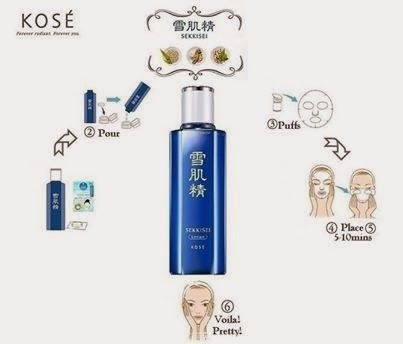 KOSÉ's star product - Sekkisei Lotion which contains Coixseed, Angelica and Melothria which are the main ingredients used in producing Sekkisei Lotion, which increase metabolism of skin, whitening, moisturizing effects and also suppress melanin production, helps create fine-textured, hydrated and translucent skin. 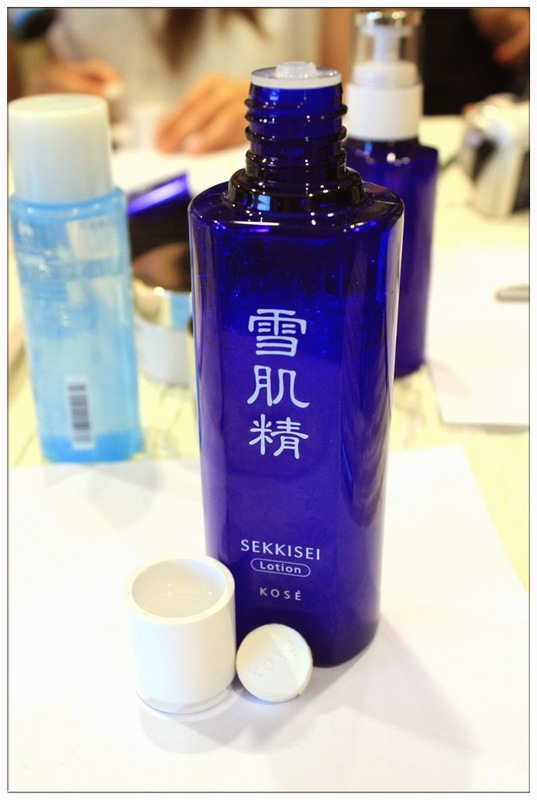 Besides daily use, KOSÉ Sekkisei Lotion can be used as Lotion Mask to empower the benefits of the lotion to our skin. It reaches 10 times more hydration when use with bihadagoyomi lotion mask! Who is this guy standing next to me? 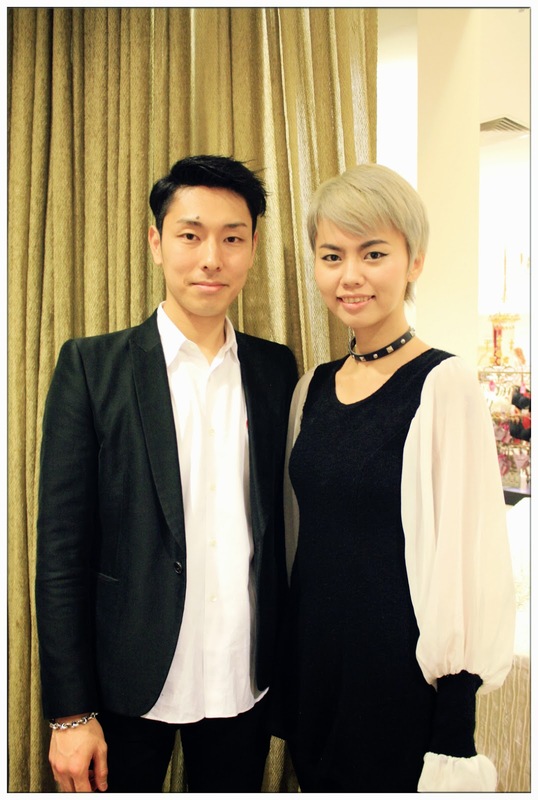 The next person who will show us How-To apply KOSÉ Sekkisei Lotion Mask is the famous International Makeup Guru - Mr. Osamu Dobashi. 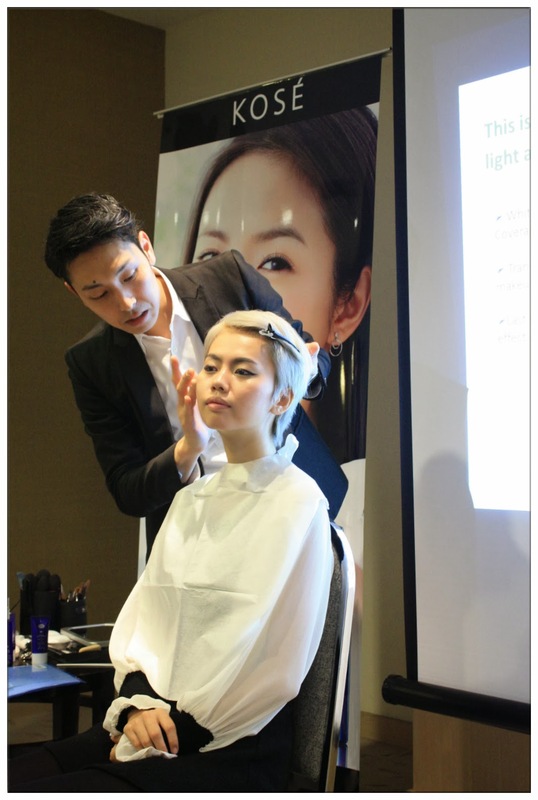 His experience in skincare and makeup industry has gained him high reputation, so happy I'm able to be his model for the day. So first, prepare your Sekkisei lotion and bihadagoyomi mask. Then you have a KOSÉ Sekkisei Lotion mask now! Apply the mask and leave it for 10 minutes for maximum result. I can feel the moisture of my skin being lock-in and the relaxing feeling due to the soothing feeling Sekkisei Lotion provides. This product suits for using in Malaysia so much as there are cooling effect, and leaving skin bright, smooth and soft but not sticky at all as the lotion is made for fast absorption into our skin. Fold it up and wipe around your hairline and neckline area for total care of your face! Totally feels good after applying lotion mask! 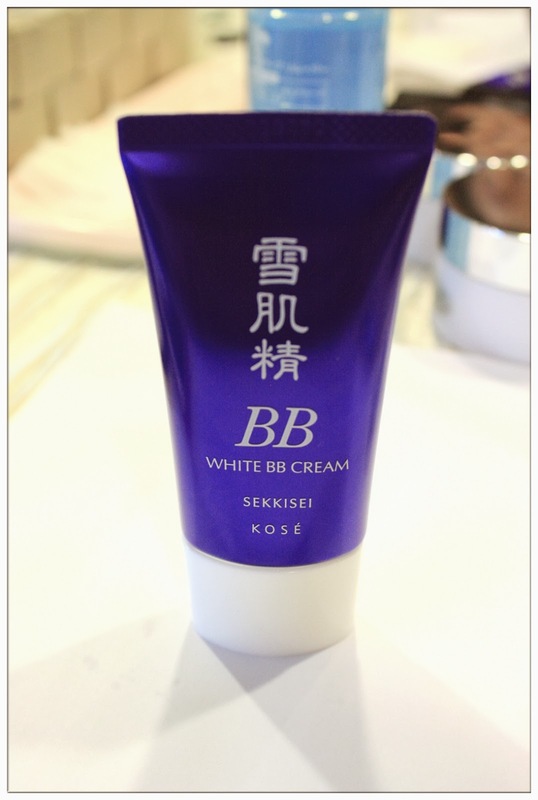 But that's not all, there's this new White BB Cream by KOSÉ follows after the skincare regime. 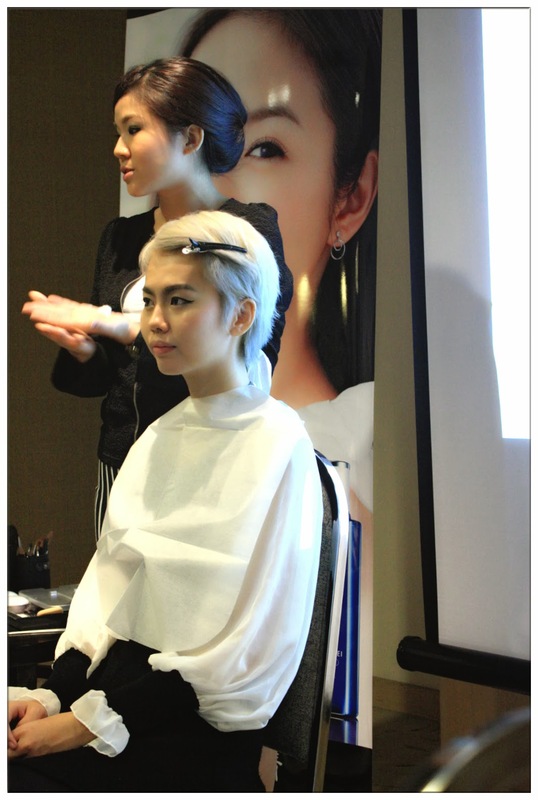 The White BB Cream cares for your skin while covering up the blemishes and also dullness. 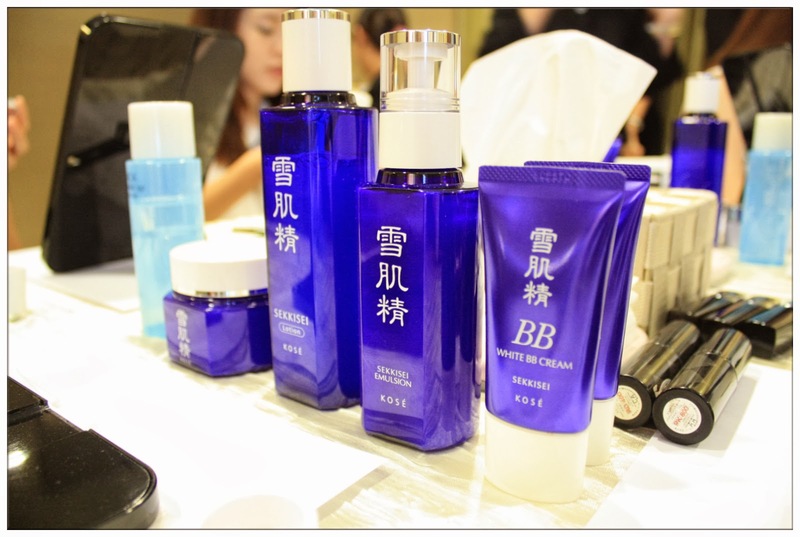 With oriental plant extracts, this White BB Cream comes in two tones. Light-weighted and protects your skin! I love how this loose powder works! Voila! 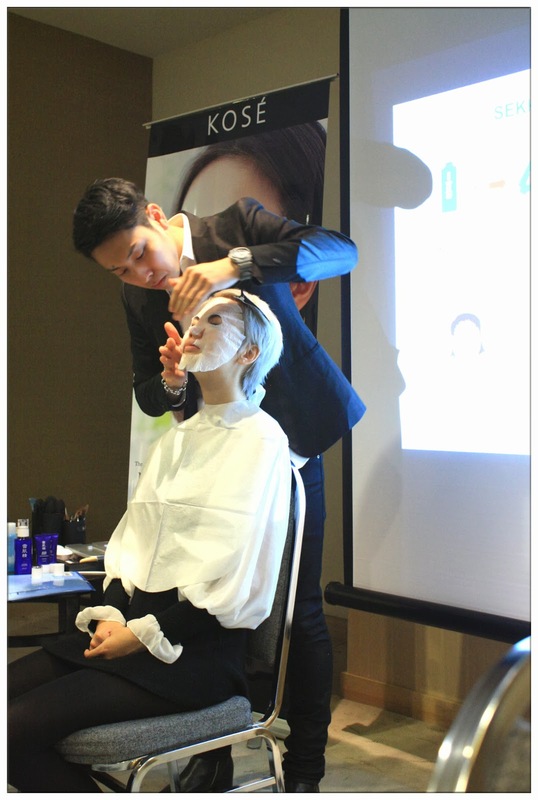 The effect of Sekkisei Lotion Mask can be seen and feel instantly!!! It's a happy girl thing to be beautiful together with friends! 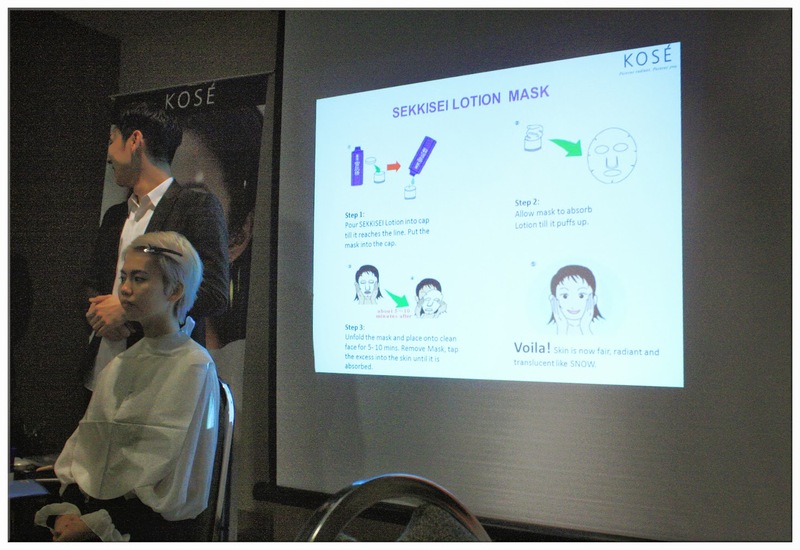 It was such a useful experience to learn more about KOSÉ Sekkisei range and their Lotion Mask that can benefit so much to our skin. As we all know, there are no ugly women, only lazy ones. So Imma try to apply Lotion Mask more often from now on and transform my skin to a beautiful, translucent one! 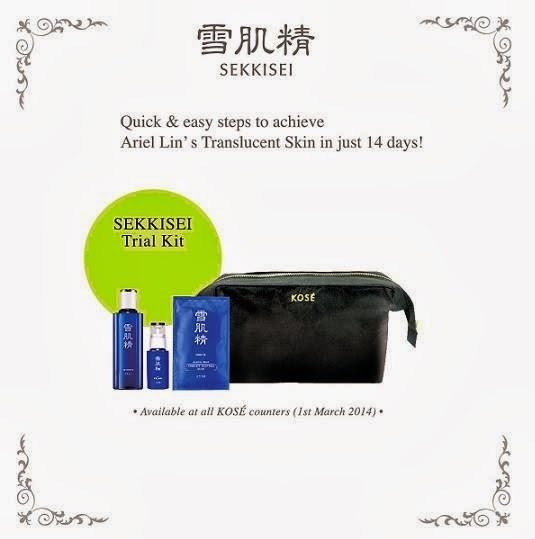 See the effects of translucent skin in just 14 days with Sekkisei trial kit! I kid you not! See the effect by yourself. 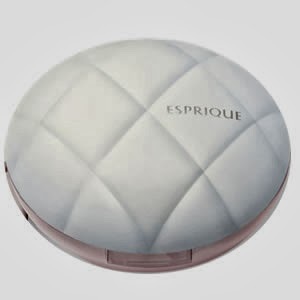 Available at all KOSÉ counters from 1st of March 2014! 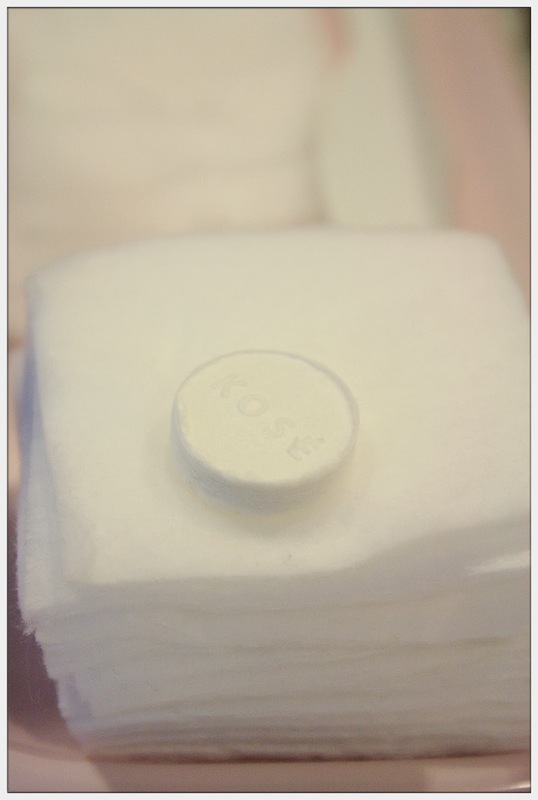 1) What are the 3 main ingredients used in KOSE Sekkisei Lotion Mask? 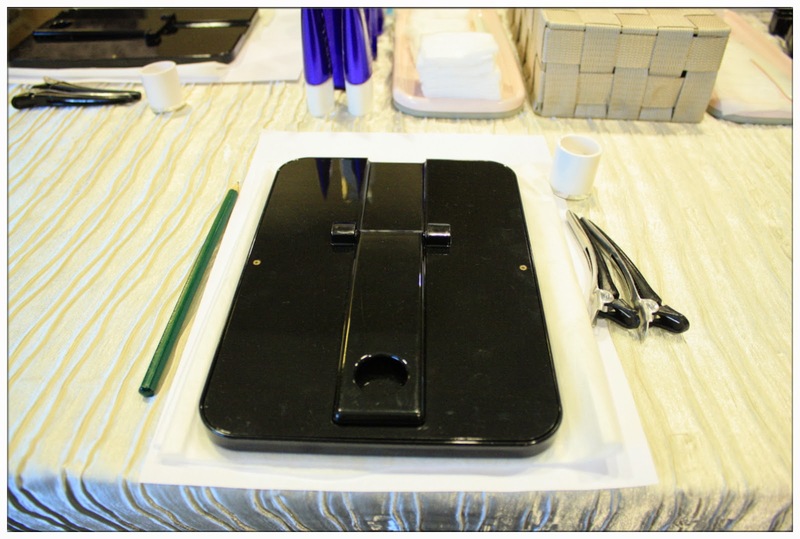 Please leave your name and email address in the comment section and winners will be announce soon! (Answers can be found in this blog post, so scroll up and read again!) Limited prizes to be given away, so hurry and submit your answers now now NOW! Period of contest is from 12th March - 12 April 2014. And do remember to check out KOSÉ's Ms Cinderella contest HERE! You might be the Cinderella that KOSÉ is searching! Join now by clicking the link! 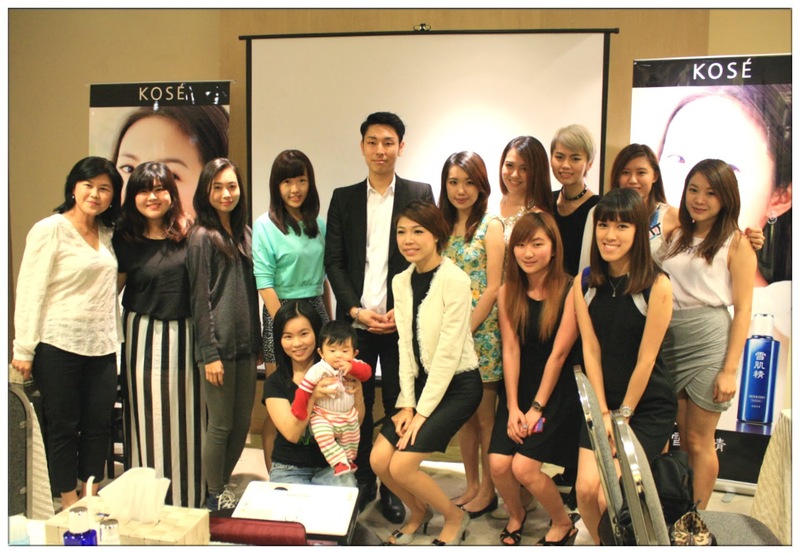 Once again, thank you Nuffnang and KOSÉ for such wonderful afternoon! 1. Coix seed extract, Angelica extract & Melothria extract.